In 1948, only three years after the conclusion of the WWII and in the eve of the cold war, Marshal Tito, the supreme leader of Federative People’s Republic of Yugoslavia took a sharp political turn away from hard line communism, severed his ties to Joseph Stalin and Soviet Union and ushered his country into an era of openness unparalleled in any of the communist countries which remained hidden behind the iron curtain. 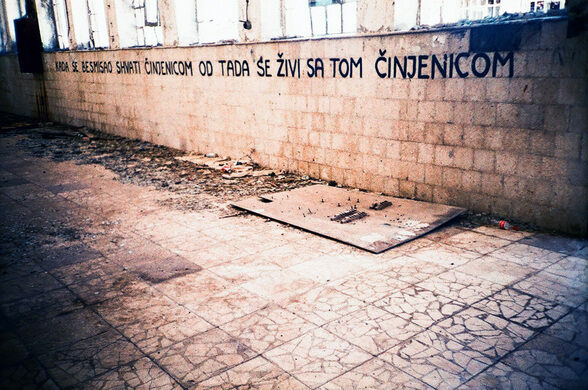 Liberal as it was, the communist regime in Yugoslavia was still an authoritarian regime, and Goli Otok was his most notorious prison, arguably its only true gulag. 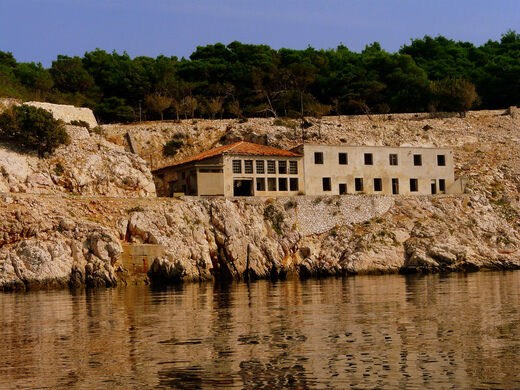 This barren islet, almost completely devoid of vegetation was originally used as a prison by Austro-Hungarian authorities during WWI as a place of internment of Russian prisoners of war. 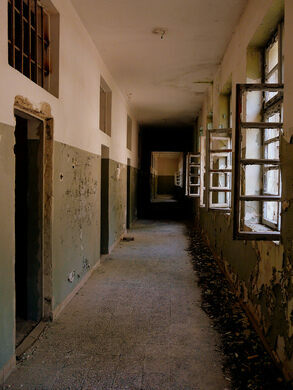 In that way in which places of state terror seem to stay so through regime changes (the same buildings were often used by the Austro-Hungarians, then the Nazi’s, then the communists as prisons) the Communist regime turned it into a maximum-security, top-secret prison. The majority of convicts were Stalinist communists, the people who remained loyal to Soviet Union, many intellectuals or quasi-intellectuals, with a good dose of petty criminals sprinkled among them. The professed goal of the prison was “moral correction” of the convicts, a process which took the form of hard labor in a quarry, conducted in the harsh climate of the rocky island, with it blistering hot and shadeless in summer, and an icy cold wind in winter. Mental torture conducted by guards as well as physical torture conducted by both guards and other inmates become a hallmark of the prison. 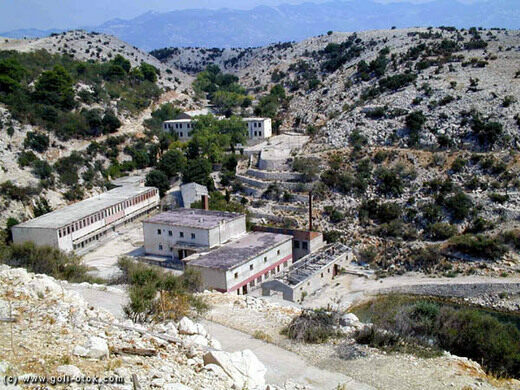 The existence of Goli Otok arguably disqualified Tito from any serious hope of winning the Nobel Peace prize despite his efforts through the Non-alignment movement and numerous diplomatic missions throughout the third world. With the death of Stalin the relations between the USSR and Yugoslavia improved. 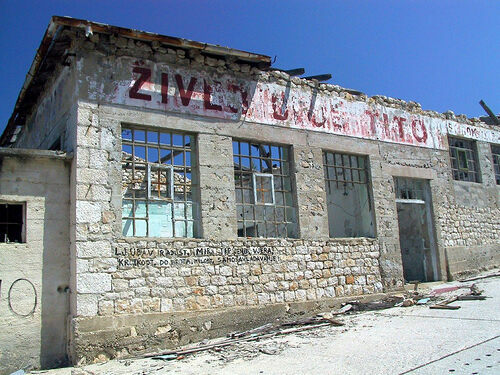 Goli Otok prison was transferred from the federal jurisdiction to local government of Croatia. 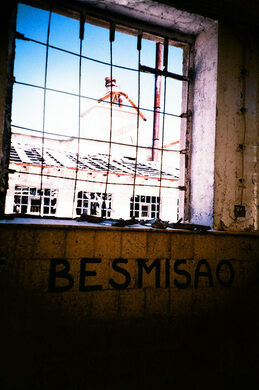 The need for a special prison for political dissidents disappeared, however the facility remained in use as an ordinary jail. It was finally shut down in 1988. 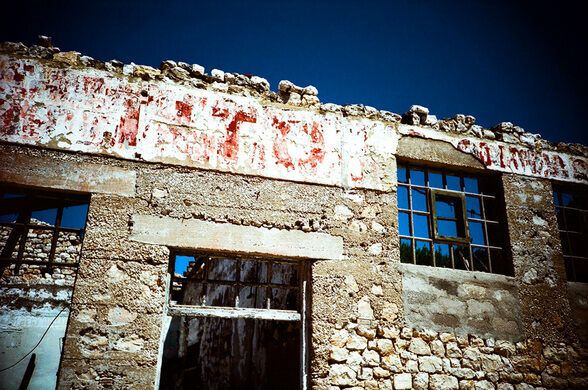 Today, the memory of Goli Otok remains deeply embedded in minds of the generations which grew up in communist Yugoslavia. 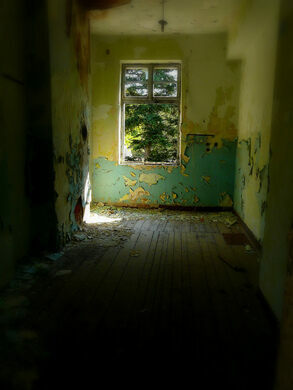 The prison facilities are at present left to decay. An especially attention-worthy detail for any visitor are the numerous propaganda paroles stenciled on the walls of buildings. To properly understand them some background info and the proper translation by the locals is needed. 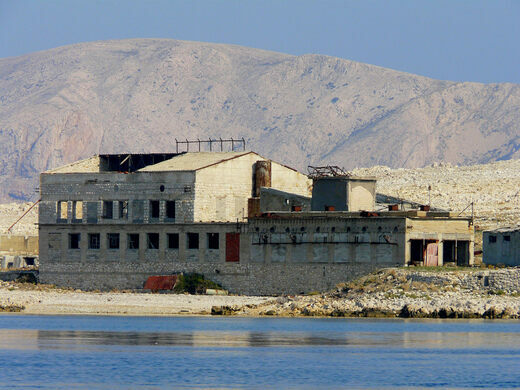 Goli Otok was never intended to be a place of extermination. The great majority of prisoners survived. Many of the went on to write memoirs about their experiences on the island, and publish them after Tito’s death. 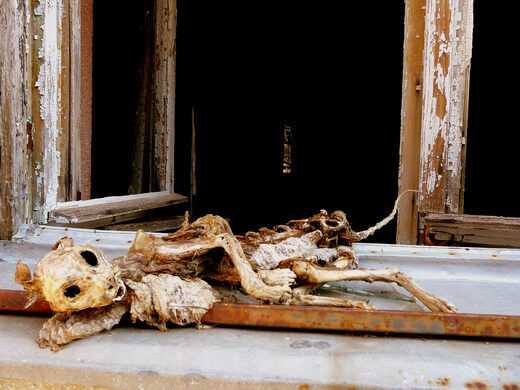 This strange genre become increasingly popular in late 1980s and 1990s as Yugoslavia crumbled. 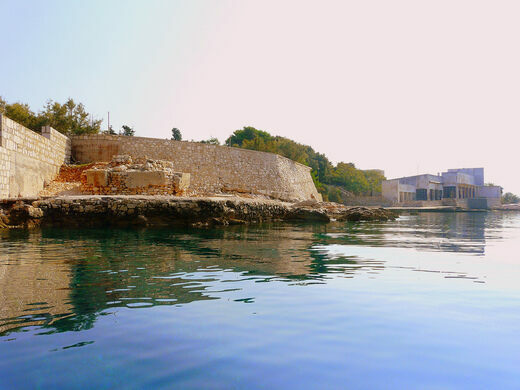 Excursions are organized by travel agencies from nearby resort islands of Krk and Rab.